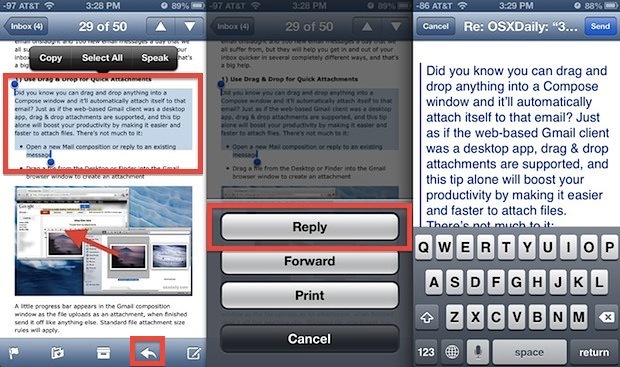 We all need as much help as we can get with email, and that’s why we’re offering up a slew of tricks to help master the Mail app on your iPhone, iPad, and iPod touch. 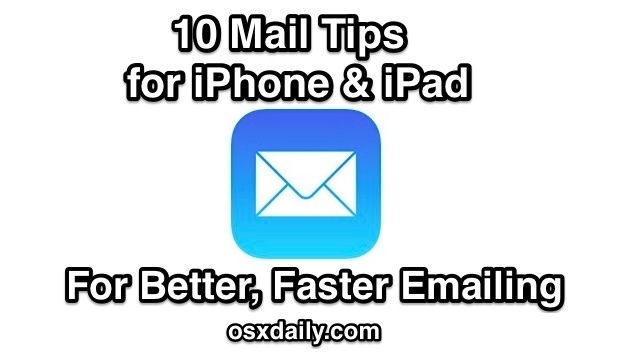 With ten tips ranging from having more emails be visible and stored on the device, to bulk management, to replying smarter, moving recipients around quickly, the quickest way to access drafts and add attachments to a message, and using Siri to compose complete emails, you’re sure to become more efficient working with emails in the iOS Mail app while you’re on the go. Of course, you can move addresses to any of the fields, from BCC to CC, TO to CC, whatever. Beats typing out an address again, doesn’t it? 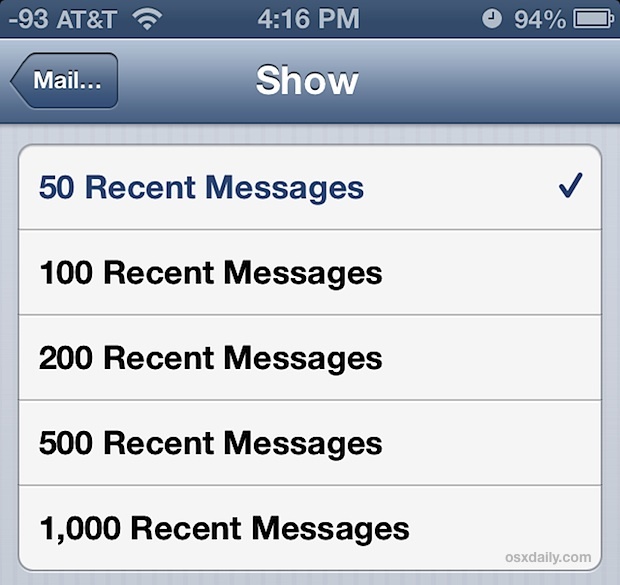 The default setting is “50 Recent Messages”, which means that 50 mail messages will be visible in the inbox by default, and scrolling beyond that must access the remote mail server to retrieve another 50. Changing this setting is very helpful if you wrangle a huge inbox, though the higher settings (500-1000 messages) can have some undesirable side effects of slowing down Mail app on older devices, and even increasing that “Other” space that shows up in iTunes. Notice how this differs from the previous tip, in that more emails are visible on each mail screen, but it has no impact on the total number of emails shown in an inbox without accessing the server again. This accesses all drafts, whether they were created and saved on the iPhone or iPad, or on a remote server or webmail client like Gmail. 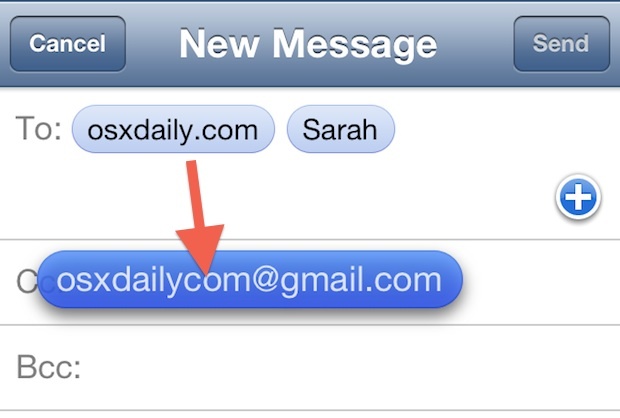 This very handy feature was introduced a while ago and retains full functionality in Mail app for iOS 7. Use it, you’ll appreciate it! This is very helpful if you’ve gotten a barrage of messages that are either unimportant or just need to mark as read, or when you need to Trash a bunch of them that are clogging up your inbox. 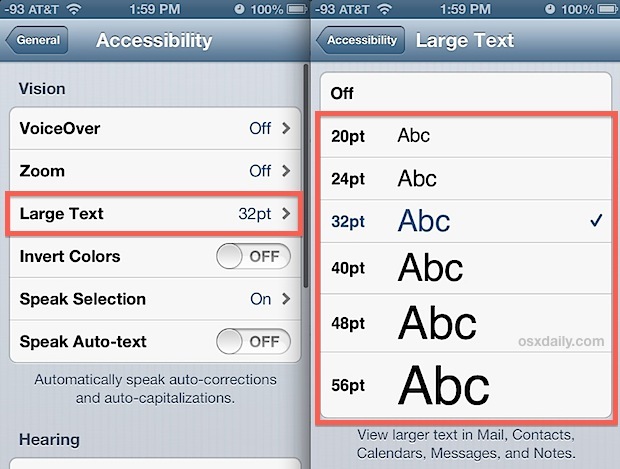 Something to consider with this option is that it will also increase the font size shown in text messages and iMessages within Messages app, which is actually really nice and makes those messages much easier to read as well. The new email message will now only contain the portion of the email you selected, rather than the entire thing. We generally recommend keeping these signatures for a variety of reasons, including the brevity expectation, but if you want to delete it or modify it, it’s easy enough to change back. 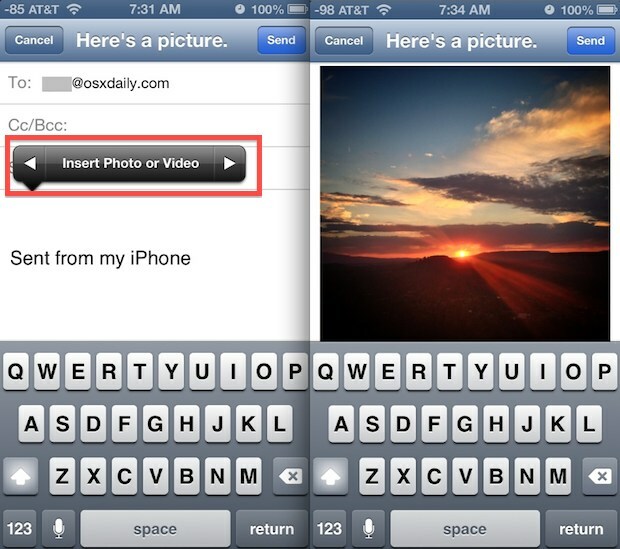 Images can be inserted anywhere into email messages this way, and it’s much much easier than poking around in the Photos app to create a new email from there, or using the copy and paste method to place images into emails. This is really helpful in situations where your hands need to be mostly free and you can’t spend time looking at your iPhone or iPad screen, whether that’s because you’re just occupied doing something else, riding a bike, walking, or maybe you just hate typing on the touch screens. 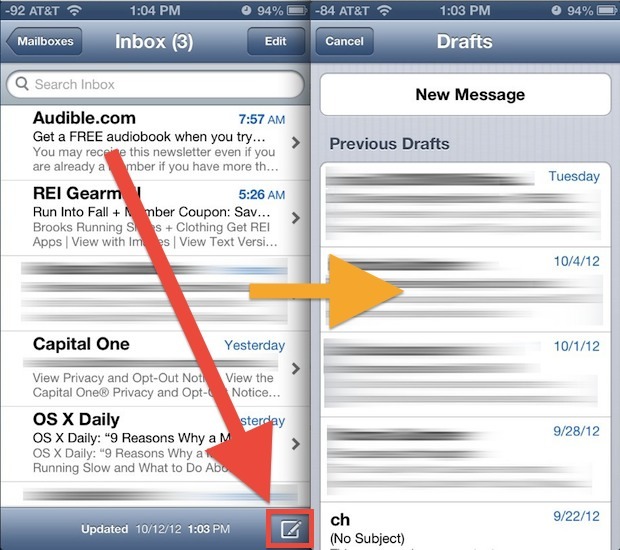 Want more Mail tricks? We have no shortage of tips on the topic, check them out. My iPad mail is driving me mad , my deleted emails keep on returning as soon as I delete them . Any tips to stop this . I am an older user . Thanks for the tips. One note though. 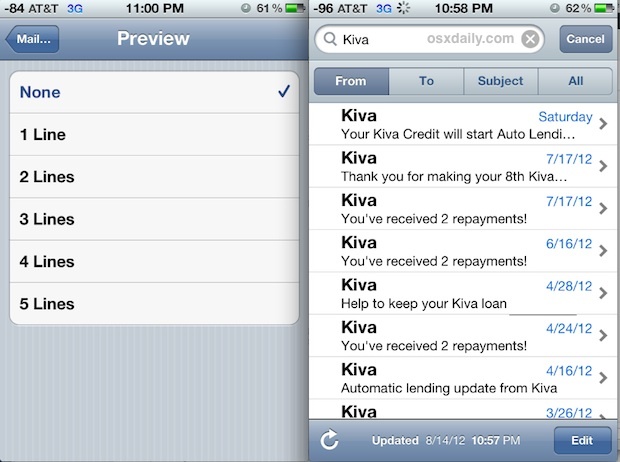 There is nothing convenient about selecting one email at a time to then move or mark. The inability to select a group of emails with one click is maddening and frankly a little mind boggling that Apple cannot or will not offer this basic of commands. Help…lots of help and tips say “go to settings” —where the heck is the settings icon, button, whatever?? Also other icons? I use them on other devices, I’m sure I’m missing something simple but am flummoxed. Valuable comments . I am thankful for the info , Does someone know where my business could access a template AU Form 1149 example to fill in ? How do I delete unwanted email contacts from the list of names that appear when I start a new email? 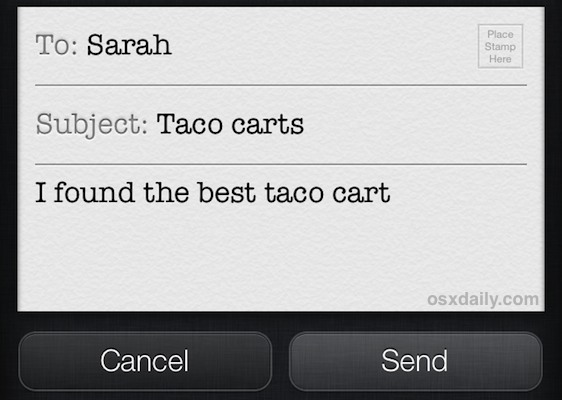 Example: I want to delete all but one “Sara” from the list.